Please click here to see a list of CMHF events! To learn more about how to support your child’s participation in the Chicago Metro History Fair, please consult the Parent Letter in English or Spanish for more information. Students that attend schools which do not offer the Chicago Metro History Fair are still eligible to participate in the program, as well as home schooled students. In order to participate as an Independent Scholar, submit this form. For day of the event contest information, click here. 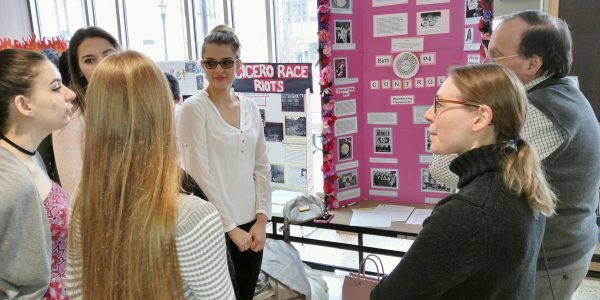 The Chicago Metro History Fair invites you to serve as a judge at a 2018 History Fair event. 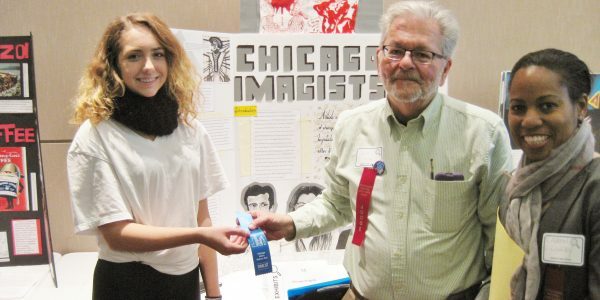 As a judge, you will evaluate historical research projects—documentaries, performances, exhibits, websites, or research papers on topics related to Chicago history—produced by local students in grades 6-8 or 9-12. No experience is or special degree is necessary; new judges will be trained and paired with a veteran judge. Judging is a stimulating experience as you also learn more about Chicago history through the eyes of youths. Please click here to learn more about becoming a History Fair judge! 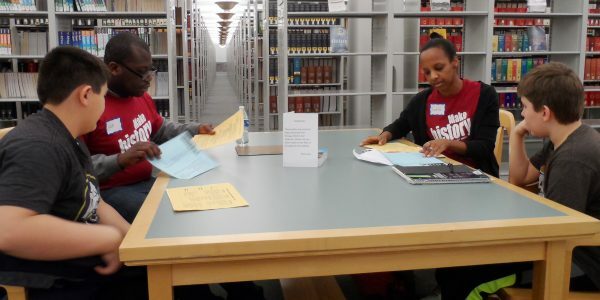 CMHF offers non-judging volunteer opportunities such as helping out at the contests, coaching students in libraries, working on the post-contest processing at the museum during weekdays, or entering data. For these contributions, complete the CMHF Volunteer Form. 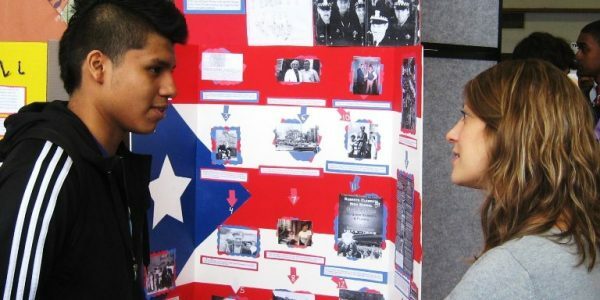 The mission of the Chicago Metro History Fair is to spark students’ interest in the study of history, help them build high-level thinking skills, engage them in civic life, and foster their intellectual self-confidence. In discovering the past, they also come to better understand the present, and plan for the future. History Fair students not only become historians, they also become better citizens. In conducting research, they go into the community to visit libraries, historical sites and cultural institutions, and interview people who are experts or participants in a historic event. In studying the history of their community, students learn how decisions made and actions taken in the social, cultural, economic, and political realms affect their lives. The Chicago Metro History Fair works with teachers and students in middle grades and high school classrooms to tell Chicago’s stories and “Make History!” Public and private schools in Cook, Lake, and DuPage county participate in CMHF. Annual competitions are held in which students present their projects to the public. After spending months of researching and developing their projects, students produce exhibits, documentaries, performances, papers and websites which are presented in a series of contests. More than 500 adults volunteer each spring to serve as judges at History Fair competitions. Students may advance from their school fairs to regional, finals, statewide, and national contests. CMHF affiliates with Illinois History Day and National History Day.